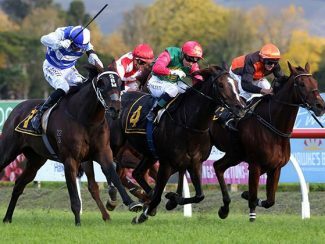 Cambridge trainer Stephen Marsh picked up one of the most satisfying wins of his career when Felaar got up for a last stride victory in today’s Listed $75,000 Royston Hospital Hawke’s Bay Cup at Hastings. Marsh, 37, said it was a huge thrill to win such a prestigious time-honoured event, especially as his parents Bruce and Kay both came from Hastings and he and his father trained a lot of winners on the Hastings track when they were in partnership. “It’s a pretty special win because Dad was brought up in Hastings and was apprenticed here,” Marsh said. Bruce Marsh was one of New Zealand’s top jockeys during the 1960s and 1970s and rode Tolka to win the Hawke’s Bay Cup in 1966. He also won the race twice as a trainer, with Shamrock in 1982 and Marlon in 1986 and is now a successful trainer in Singapore. 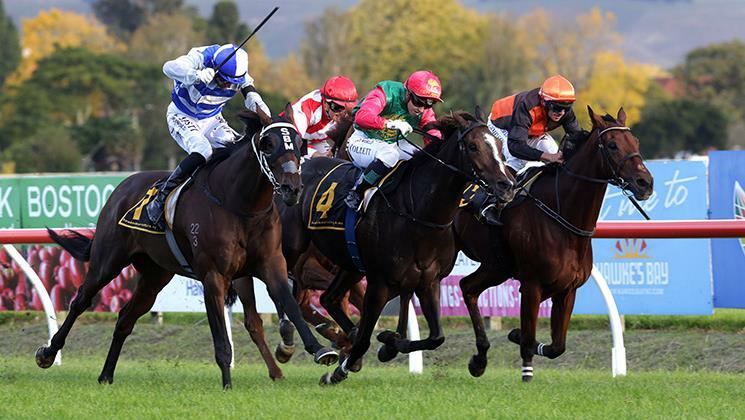 Felaar started a hot favourite for today’s 2200m feature and his trainer was supremely confident the horse would be hard to beat after an unlucky last start second over 2100m at Tauranga, and with the addition of blinkers to his gear. But jockey Leith Innes had to use all his strength to get the best out of the Ekraar five-year-old over the final stages before he got up on the line to beat Igraine by half a head, with Jacksstar half a length back in third. “I know it sounds bad but I really thought he would win by more than he did,” Marsh said afterwards. “Coming to the home turn he was travelling that easily you could have put everything you had on him but he still doesn’t know how to put a field away. Felaar was recording his fourth win from 19 starts and has also chalked up nine minor placings. He is owned by Marsh in partnership with Sir Peter Vela and Auckland businessman Leo Molloy. “The horse was owned by the Smithies of Monovale Farm and they were going to sell him to Hong Kong,” recalled Marsh. Marsh said he is unsure what the future plans are for Felaar but did say a race like the Brisbane Cup (2400m) at the Queensland winter carnival is an option. Innes was recording his second Hawke’s Bay Cup victory after winning the 2010 edition on Boundless. He was impressed with the Felaar’s staying ability but also had thoughts of a bigger winning margin approaching the home turn. Innes also admitted he had found it hard getting down to ride Felaar half a kilogram overweight at 53.5kg, although the incentive of riding the horse had made it worth the battle.